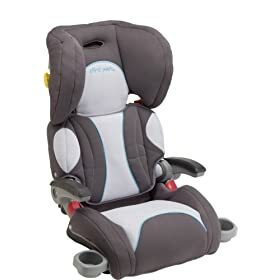 The First Years’ latest booster, the B540, is a somewhat new and reasonable choice on the booster seat market. This booster is intended to fit kids from 30-100 lbs who are 38″-57″ tall (around ages 3-10). Retails for $99.99 but it’s currently on sale on Amazon for $83-$87 depending on the color you pick and ships for free.